A report issued by satellite-imaging company ISI shows extensive damage to a site targeted near Damascus, largely attributed to Israel. 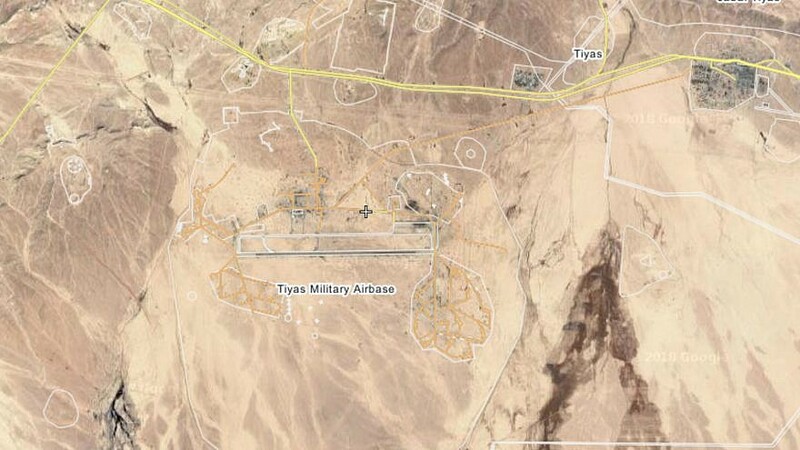 The Syrian Tiyas Military Airbase, also known as the T-4 air base located in Homs province. Credit: Screenshot via Wikimapia. (December 27, 2018 / Israel Hayom) An intelligence report issued by the satellite-imaging company ImageSat International (ISI) on Thursday revealed the aftermath of the recent airstrikes in Syria, largely attributed to Israel. According to reports, the target of the airstrikes was an Iranian weapons depot near Damascus. London-based war monitor Syrian Observatory for Human Rights said on Wednesday that three weapons facilities belonging to Iran and Hezbollah had been targeted outside Damascus overnight between Tuesday and Wednesday. The ISI report included a survey of the targeted area, focusing on a reported Iranian weapons facility inside the Division 4 camp. The report further concluded that there was no evidence of attacks on the airport in Damascus or in Al-Kiswah.